Love this pillow. Great purchase and is far better than the My Pillow brand. Filled with gel-coated microfibers; down alternative filling offers a traditional feel. 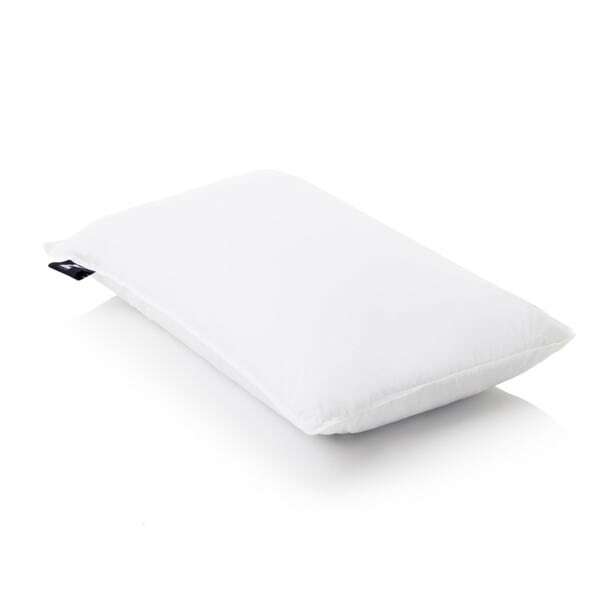 The luxurious feel of a down-filled pillow without the allergens and smell of real feathers; resistant to dust mites. Gel fibers combine to maximize softness and comfort. Consistent filling does not shift or clump and has quick loft recovery. Traditional shape fits pillowcases and complements bedroom decor. Very nice soft pillow. Feels a lot like a down pillow. I love this body pillow. It is exactly what I wanted. It can be molded yet bounces back and maintains its shape and loft. I don’t care for this because it doesn’t have much for support, as i was expecting more of a gel “squishy” feel. My husband loves it though. But he’s mostly a back sleeer while I’m more of a stomach sleeper. Liked this pillow very much,, supportive but soft and cushy. I like a very soft pillow - and want it not too full. This one was great right from thr start. They were great for a few months and the broke down. We loved the cool zone on our heads. We have lost that after use. My favorite pillow. Good for side sleepers. Easy to fluff up and arrange for maximum comfort and support. Worked well, has held up well. I need low-cost pillows for my decorative shams. The idea of gel in Texas heat might be cool! Never tried them before and the price is good to give them a try! I didn't want a firm pillow. It has a high rating.